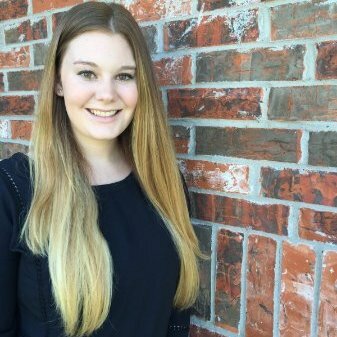 We are pleased to announce Lauren Christenson as the 2017 Altrusa International of Fort Worth Scholarship recipient. Ms. Christenson is currently seeking a Master of Social Work with a Concentration in Children and Families and a Certificate in Administration at the UTA Fort Worth Center. In addition to successfully maintaining a 3.6 GPA, Ms. Christenson dedicates her time and energy to working as an intern Case Manager at GRACE, a local non-profit relief agency which provides food, clothing, financial assistance, and other vital necessities to people who are struggling with a limited income or recent emergency. Altrusa International of Fort Worth is committed to making communities better through leadership, partnership, and service. Ms. Christenson has demonstrated these same values in her professional and personal life. Lauren earned her B.S. in Rehabilitation Studies from UNT, making her the first in her family to attend and graduate from college. While completing her undergraduate degree, she volunteered as an Assistant Program Coordinator at Our Daily Bread and worked with inpatient addiction treatment and in-prison programs that focus on correctional substance abuse. After graduating in summer 2018, Ms. Christenson plans to obtain her LCSW and return to working with individuals suffering from substance abuse and addiction. Her long-term goals include becoming a Clinical Program Director, and one day establishing her own non-profit organization to help at-risk youth The UTA Fort Worth Center congratulates Lauren Christenson, and appreciates the generosity of Altrusa International of Fort Worth for their continued commitment to assisting our graduate students in achieving their goals.